Our first attempt at doing a 5 Minute Initiative on video. 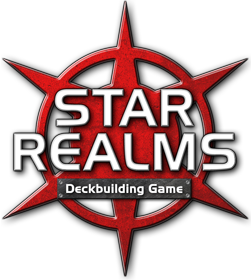 We took on the killer deck builder Star Realms. This game is hot and worth all the hype in my opinion. How good is it, it has my wife’s seal of approval. She loves enjoy’s playing it and quickly caught onto the mechanics of the game. If anything, check out the free app of the game to help you decide if you want to pick this one up, but you are going to have to wait because it is sold out and the 4th, that is right, the 4th printing should hit near the end of the year.